Not that many candies start with "Z." Zotz had not one, but two Zs in its name, and that was only part of its coolness. Pop Rocks, to me, seem like kind of Zotz taken one step further. 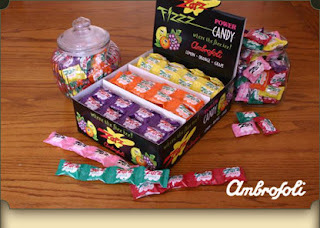 Whereas Zotz kind of hid their weirdness inside a regular candy shell, Pop Rocks was all weird, all fizzy, all candy that was shocked by an electrical wire. You can still buy Zotz online, and it's often found in those Mr. Bulky type candy stores full of bins and nostalgia.